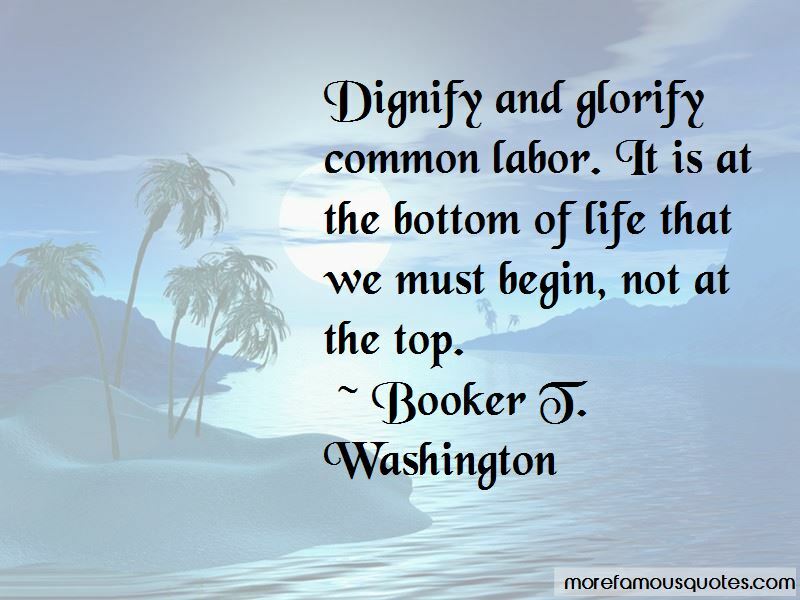 Enjoy the top 141 famous quotes, sayings and quotations by Booker T. Washington. In order to be successful in any undertaking, I think the main thing is for one to grow to the point where he completely forgets himself; that is, to lose himself in a great cause. In proportion as one loses himself in this way, in the same degree does he get the highest happiness out of his work. Nothing ever comes to one, that is worth having, except as a result of hard work. Character, not circumstances, makes the man. The wisest among my race understand that agitations of social equality is the extremist folly, and that progress in the enjoyment of all privileges that will come to us must be the result of severe and constant struggle rather than of artificial forcing. The great human law that in the end recognizes and rewards merit is everlasting and universal. A race, like an individual, lifts itself up by lifting others up. Decide to be your best. 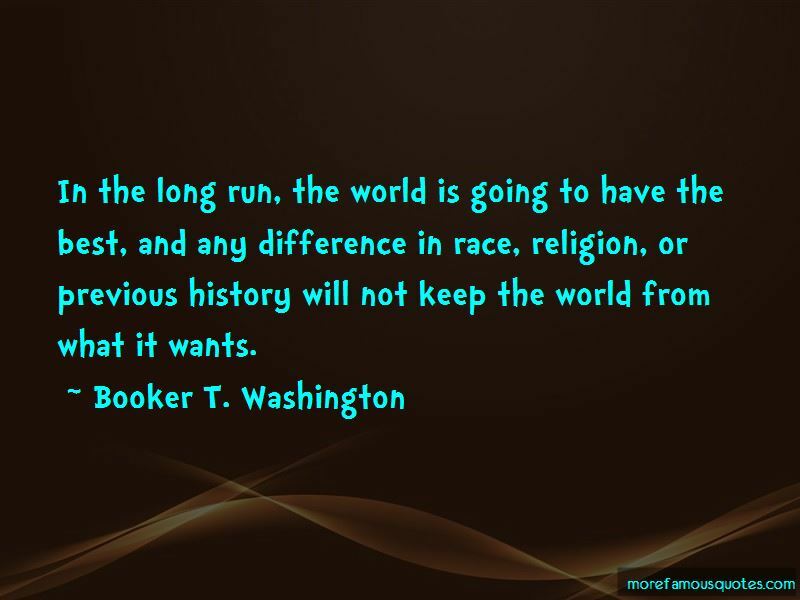 In the long run the world is going to want and have the best and that might as well be you. 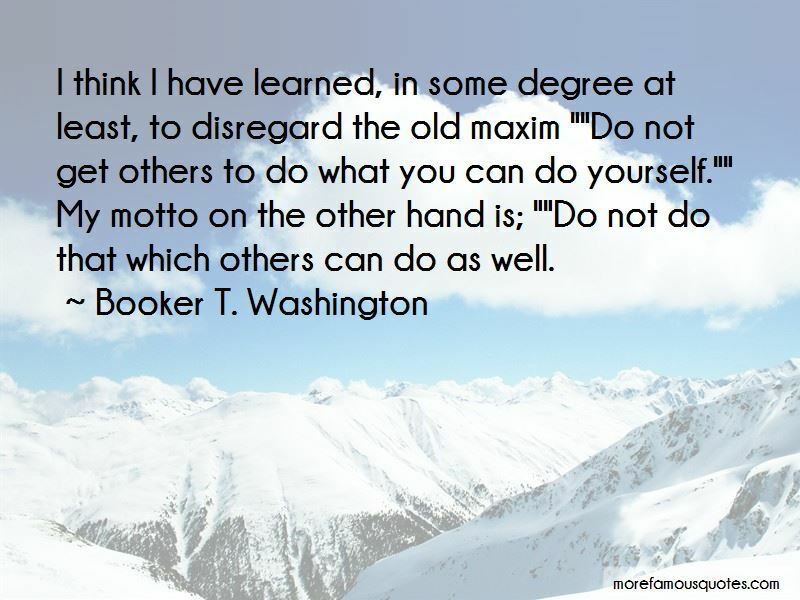 Want to see more pictures of Booker T. Washington quotes? 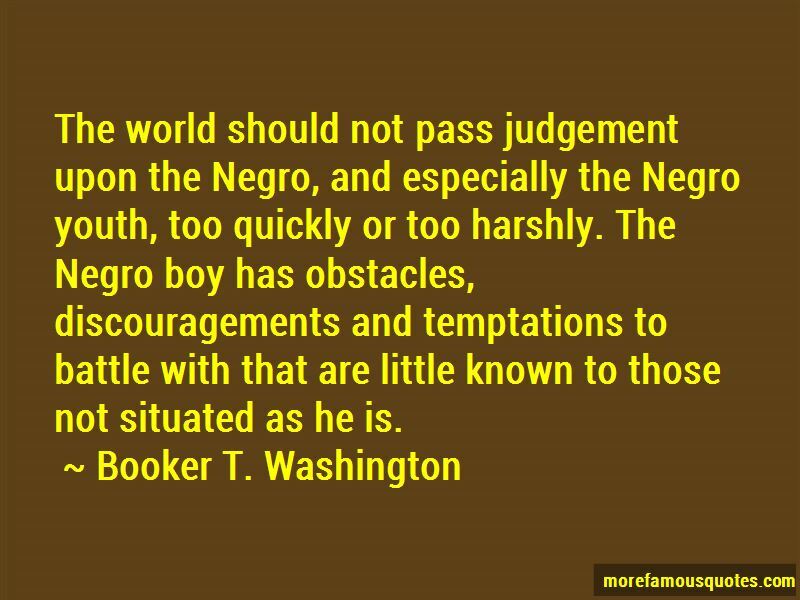 Click on image of Booker T. Washington quotes to view full size.